You probably don’t expect SMS to be thrown around in discussions about the hottest marketing channels right now, but there is some real power in this 3-letter abbreviation. SMS, stands for Short Message Service and is also commonly referred to as a Text Message depending in what part of the world you are. SMS has faced serious competition from social media, but also from the likes of WhatsApp, Facebook Messenger and Viber. However, the accessibility of SMS and also the fact that it maintained a more ‘business-like’ or transactional tone, has fended off the competition. There is one very good reason, why you should at least consider SMS marketing for your business: Extremely high open rates! The kind of rates you can only dream of when sending email campaigns. We are talking over 90%! Still not sold? Then how about a channel that gets your message read within minutes? So let’s talk about SMS marketing, or Text marketing! Retail marketeers, coupon and discount offer providers, customer service centers and of course political parties have mastered the art of bulk SMS. But here’s a few lead questions to assess whether an SMS campaign is right for you, and how you should go about it. Who is the audience? Are you targeting current clients or prospects? Is there a specific trigger for the campaign? A specific event or a special offer? Do you need a landing page, or coupons? Do you need a short code and keyword? What is the campaign duration? Once off or will you be sending a series of messages? Can the message be conveyed within the limit of 160 characters? 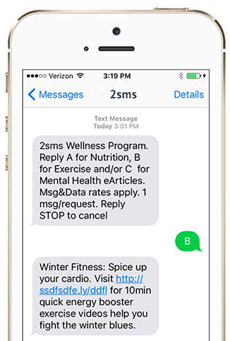 Are you incorporating SMS as part of your marketing strategy? Will it run complementary to an email campaign or in-store promotion? Will you need any location based services? 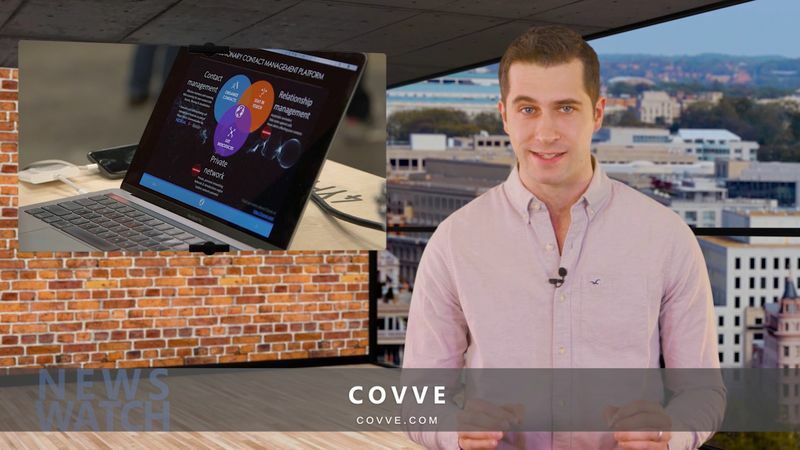 Do you need to target an audience with a custom message according to their location? E.g. special offers on merchandise when approaching a stadium for a football game. In your strategy plan you should have already identified who your audience is. The most important point is to make sure you have permission to be messaging this list. If you are not sure, it probably means you don’t – so play it safe! SMS marketing is regulated, and received a whole lot of attention during the run to the GDPR introduction. The good think is that it forced all reputable SMS providers to be more proactive and guide you through the steps you need to remain compliant. If you have an existing list of recipients, you should make sure you complete the list as best as possible. This Phone Wizard by Covve will append the country, continent and phone type to your list of phone number! This will also allow you to better segment your audience and customise your messaging, which can dramatically improve the effectiveness of your campaign. 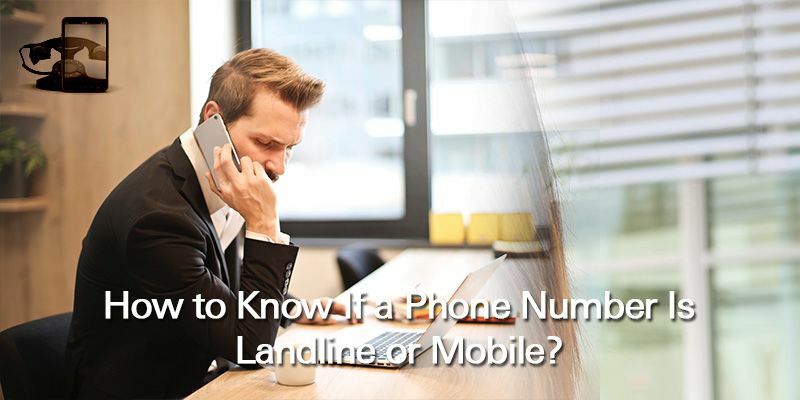 If you are looking to build a new list, then forms on websites or social media are some of the most common ways to get people to opt-in with their phone. This guide from EZtexting gives a good summary of the various list-building options. There are usually no easy gains, and you need to aim for a long strategy in order to build a quality audience. Whether you have a new list or an existing list you NEED to segment it. 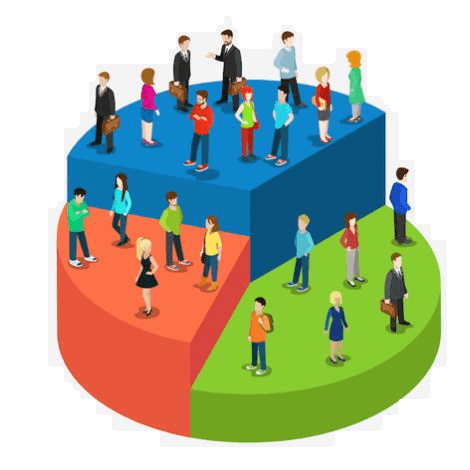 Segmenting your audience will allow you to better manage the list, customise the content, and most importantly will force you to think strategically about the messaging and overall approach for each segment. As a very simple use case, imagine a shop sending an SMS about new arrivals. Customizing the message based on previous buying habits should almost surely increase engagement. Or, let say you are running a ski resort. Segmenting and using location targeting will allow you to offer specific information such as forecast reports or targeted offers such as a free snowboard lesson for kids. This part of the campaign is an ongoing process. Yes, all bulk sms providers will help you do some housekeeping e.g. managing opt-ins and opt-outs, but make sure that you don’t let things fall through the cracks. Especially if you are using multiple SMS marketing campaign providers, or if you have not integrated you SMS campaign software with other tools you are using, such as your email campaign provider or CRM. Also make sure you maintain a clean list with correctly formatted numbers, and remove any incorrect entries and landline numbers. Tools like Phone Wizard by Covve will help you clean your list and avoid unnecessary errors and possibly extra charges! With your strategy and audience defined, you can now search for your SMS campaign service provider. There so many solutions out there and the depth of features and pricing options span beyond the limitations of a comparison table. Get a cup of coffee and start browsing! There is no single ‘best’ provider but here are some very capable solutions: EZ Texting, Avochato, Textedly, sms global are all dedicated SMS campaign solutions with plenty of features! Tatango offers advanced messaging workflows, while solutions like Twilio offer a more integrated approach with marketing platforms, email campaign software, and WhatsApp. 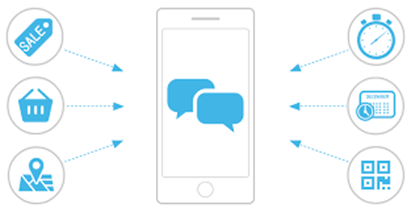 Looking beyond SMS? Viber is another good channel that can be utilised, and companies like eSputnik offer a full solution build around viber. Cost – the cost is typically split between the fee for sending the text and the fee for renting keywords. Typically, this is in the form of a monthly plan – but make sure that your provider and monthly plan work well with your projected numbers. These are the two basic components of a typical SMS-marketing campaign. For example: Text “DISC25” to 556677 for a 25% discount on your next purchase! Keyword is “DISC25” and is in the body of the message. Shortcode is “555555” and is entered in the recipient box. The most cost-effective options is to use a short code provided by your SMS marketing service, although this may have limitations in the choice of keywords. This code will probably be shared with other customers of the SMS marketing provider, but using a keyword that is not used by any other customers will distinguish your campaign. If you want full flexibility, then you can also get your own dedicated short code. You will have your own short code, so you can have all possible keywords for that code. Digital coupons – Coupons are hugely popular, and using them effectively can give you great results. Look for functionality around coupons, to make your campaign more interactive and engaging. Campaign workflow capabilities – an SMS campaign typically has a very simple and direct workflow, but it can also be a full-on drip campaign, or even incorporated with a full marketing plan. For example, it can be supplementing your email marketing campaign with targeted location-based messaging. This is a differentiating factor for many providers, and the best way to understand this is to run a small sample campaign. The prospect should immediately recognize what the message is and how to act. A strong and clear CTA is essential in SMS marketing. You can use keywords to add a level of interactivity with your business. E.g. you can have a keyword for ‘Nearest Location’ that could trigger an automated text with the closest retail locations stocking your products. People are attached to their phones and SMS works great for last minute notifications and impulse purchases. E.g. if you have a special offer in a shop, you should message your clients when the offer is on – not before! If you need to, you can also use an email before the offer is on for awareness. And of course avoid sending messages early morning or late night! Make sure you consider the time you want the text message to appear in the recipient’s phone. This is especially important if you have recipients in different timezones! Remember, you can use Phone Wizard by Covve to get the necessary data, in order to segment and schedule accordingly. 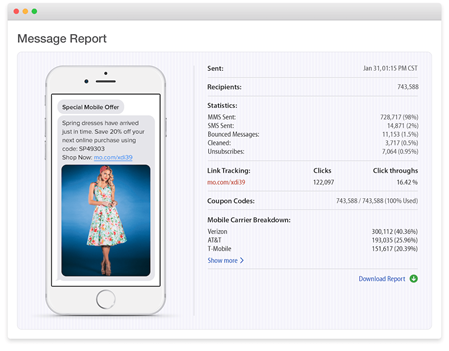 Optimising your SMS campaign strategy is once again a project in itself. Depending on your objectives, there are many parameters to monitor, track and optimise, such as click-through rate, conversion rate, opt-outs etc. A/B testing is the most basic form of testing and optimising, so make sure you are doing it! It’s strongly suggested to focus on one of the factors below in every test, and make sure you are testing with a significant volume of recipients (your SMS campaign provider can support you in this). Written on 27 Jan 2019.